Understanding the Threat (UTT) spent last week in Colorado speaking to large groups of citizens, elected officials, law enforcement, and others despite a strong push by Hamas (doing business as “CAIR” – the Council on American Islamic Relations). Hamas (dba CAIR) sent emails to a large number of Police Chiefs and Sheriffs calling for them to avoid any of UTT’s training programs, and published an article calling UTT’s Founder John Guandolo an “Islamophobe” which is equivalent to a public condemnation for violating the Islamic Law of Slander (to say anything about Islam or Muslims they would dislike), which is a capital crime in Islam. Calls and emails to the FBI by UTT concerning these threats continue to be ignored. Despite Hamas’ best efforts, UTT was able to make significant headway in Colorado and share factual information about the threat from the Muslim Brotherhood’s jihadi network in America which consists of the most prominent Islamic organizations in the U.S. including: Council on American Islamic Relations (CAIR); Islamic Society of North America (ISNA) and all of its subsidiary Islamic Societies; Muslim Student Associations (MSA) which exist on every major college and university campus; Islamic Circle of North America (ICNA) which drives a great deal of the Interfaith Outreach programs in America and propagates a false narrative about Islam; Muslim American Society (MAS); International Institute for Islamic Thought (IIIT); Muslim Public Affairs Council (MPAC); Americans for Palestine (AFP) a Hamas front now operating on many college campuses; Islamic Shura Council; Fiqh Council of North America (FCNA); Council on Islamic Education (CIE); North American Imams Federation; most of the over 2100 Islamic Centers in the U.S. today; and many other Islamic organizations. 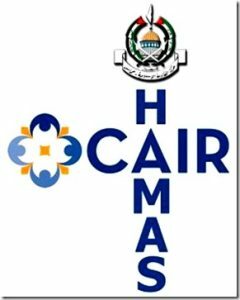 Facts already in evidence in the largest terrorism trials in American history identify CAIR as the 4th organization created by the U.S. Muslim Brotherhood’s Palestine Committee, which is Hamas here. Members of Congress, the Department of Justice, and over 20 years of evidence make clear CAIR is operating as a terrorist organization (Hamas) in America with their headquarters office only a block from Congressional offices on Capitol Hill in Washington, D.C. While Hamas/CAIR continue to publicly threaten UTT founder John Guandolo and personally attack him, UTT continues to present evidence CAIR is a Hamas entity and it and its leaders should be treated as such.